Edge is proud to service your area. Here at Edge, we care more about eliminating your problems than getting a quick sale. We provide the highest-quality service and products available at a great value. 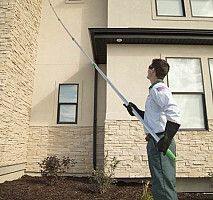 Such as general pest control, lawn care, rodent, mosquito, and bed bug control. Our Edge Service Specialists are trained and qualified to give you the first-class services you deserve. We guarantee every aspect of our service with more than 13 years of experience whether it be residential or commercial. Call us today to set-up an appointment, we look forward to hearing from you! Our result driven services aim to protect your home, your family, and your belongings against all types of pests. We'll keep you informed throughout the process so you can have peace of mind. We know that tangible results matter to you - and that's what we provide. Your lawn is unique and we understand that. 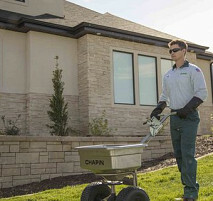 Edge Complete is tailored to provide the best results to your unique lawn taking in all factors including climate and geographical location. Edge Complete was specifically made to produce the best lawn that you and your family deserve. Comments: They didn't provide the specific service I was looking for but gave me a recommendation of who to contact. Very friendly staff. Comments: Great company great service! Comments: Well i know it takes a few weeks for the stuff to start working so I can’t really say much at this point. I just hope that they all go away soon! Comments: I was worried that I had made a quick and poorly researched choice but I was very pleased. 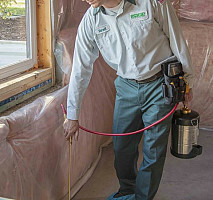 Work Description: Pest control and prevention. Comments: My service tech was very professional and informative. He answered all of my questions ad was very friendly. He greeted my dogs which they appreciated. My experience was excellent over all. Comments: Yes I did and highly like them and have told lots of people about them. Work Description: Trated for mice and insects. Too early to tell if it is successful. 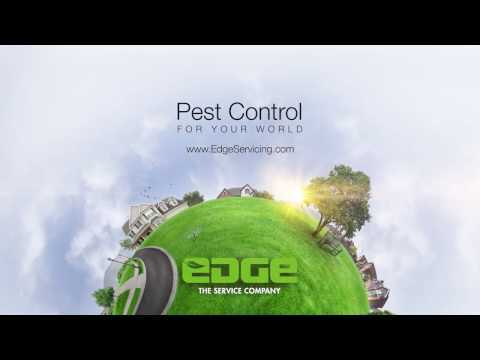 Comments: Edge arrived exactly when we were told they would we even received a call that our exterminator was getting gas and then would be on his way, he was very professional, answered our questions, and was in and out of the house very quickly. Overall we are very satisfied. Not to mention their service was unbelievably more affordable and better quality than the absurd quotes we received from Orkin. Comments: The only comment is that it didn't seem as though the tech didn't seem overly concerned. To me, the problem was devastating. I am still finding some blood on my bed but not very many bugs. I wish I could talk to the company about what I'm finding to see if it is normal. No call back from the company. around outside of the home and patio. Comments: So far so good. Your employees are the best, top notch! I really do appreciate working with people who know there job well. Comments: If the guy had sprayed all of the areas like he was suppose to to do it would have worked more effectively . Here. I want a receipt for my payment. Am not impressed with person who came out. Comments: This service was perfectly good. They came and did what was needed. I think the rat has already left, however. Also, they could not locate the entrance and the conclusion was that they must have come up through the toilets. I had moved out of my home for seven months to care for a family member. The rat moved in and subsisted on a few decorative gourds, beeswax candles, and seashells. I was concerned it was still in the house, but it isn't. So, I have a year contract to make certain that it doesn't come back. I was told on the phone originally that rats are attracted to their pheromones and so a small amount of gel needed to be applied to mask the scent. The technician had never heard of this before. He set six cheap traps (wooden) that I could have purchased myself and baited them with peanut butter. They will come out any time to pick up dead rats, which is good. However, I am not squeamish and could have done the same. Right now, I am thinking that a year of this service knowing that I will be moving back in with my dog is probably overkill. No pun intended. Oh well. At least I have some help with this should it recur. Work Description: sprayed for ants inside and did all of outside for spiders, slugs, earwigs etc. Comments: appreciated all they did, seemed they went fast inside but hopefully they have taken care of problem. they came back because I wasn't home the first time. Comments: Did a GREAT job!!! Work Description: Cleared ants in our home. Work Description: Very good. He was knowledgeable and friendly. Work Description: Pest control of mice activity. Comments: I was very impressed with this company. I called early Saturday morning and they came out about 3 hrs later. They send a very nice, polite and smart technician. He explained exactly what he would do. Comments: Service was good. I thought a little pricey. Didnt know until service guy came and performed our first service that I was under contract to have a full year of service or I would be penalized half the cost of the full year service. Should have been told before first treatment was given. Wasn't told I would be under contract. Comments: Don’t waste your money. After doing some research on how to get rid of moles and talking with several companies, I decided to hire EDGE. They explained that their process was to come out and set traps in several areas where the mole tunnels were. They would then come out every two days for two weeks to evaluate the progress and move the traps to any new runs. · The first day they arrived, I was told they did not have enough traps left over to put any in our yard. · After two days, they came back and placed two traps. · They never came back to move the traps. Consequently, I now have new runs throughout my yard. · When I called customer service, they said that for some reason they had stopped service after one week. Work Description: Sprayed house for insects. I had to agree to a year's contract which was disturbing. Work Description: We had an ant problem that showed up overnight. Comments: The employee presented himself in a professional manner. Did good, neat work. Ants were totally gone in a matter of 1 1/2 days!!! Work Description: Very helpful in answering my questions and diligent in looking for problem spots. Comments: It would be nice to be able to cancel out before a year's time. But, I knew I couldnt going in. Comments: Quick, easy, and effective so far. That's great to hear Kathy! We're here to help whenever you need us. Please just let us know if there's anything else we can do for you! Work Description: They did a good job; the ants are taken care of for now. Thanks for sharing Steve! Remember, we will come back out for free as many times as you need to make sure you are taken care of. Please, let us know if you ever need anything more. We are always happy to help! Comments: Very good company and professional. Deena, thanks for your thoughts! If there is ever anything more we can do for you, please just let us know. We are always happy to help. Work Description: Sprayed outside and inside of house. Thanks for sharing! Remember, we will come back out for free as many times as you need to make sure you are taken care of. Please, let us know if you ever need anything more. We are always happy to help. Thanks for sharing Lee! Remember, we will come back out for free as many times as you need to make sure you are taken care of. Please, let us know if you ever need anything more. We are always happy to help. Work Description: small black bugs in the sheets and they were jumping onto the walls. Hi Dale! We're happy we could help with your pest problem! If there is ever anything more we can do for you, please just let us know. Work Description: They set up traps and sprayed for pests inside and out. I have only had one service, but I look froward to many more years of being pest free. Thank you Teresa! Remember, we will come back out for free as many times as you need to make sure you are taken care of. Please, let us know if you ever need anything more. We are always happy to help. Thank you Maria! We really appreciate it. If there is ever anything more we can do for you, please just let us know. We are always happy to help. Comments: Honestly our house is bigger and has more spaces to spray then the tech was here for time wise. Jacob was very nice guy but I feel more time could've been afforded for the room we have. Also, he said he was gonna treat the yard as well and I never seen him do anything in the yard. Its 3 days later now and I still see soooo many insects. Work Description: Rid the house of spiders and wasps. Comments: Zach was professional and courteous. Thanks for sharing Alyce! Please let us know if there's anything more we can do. We are happy to help! Work Description: Had a problem with wasps, had a nest in our bedroom. Comments: Our man was friendly, efficient and knew his job. Thank you Richard! Please let us know if you need anything else. We are happy to help! Work Description: Service tech took time to explain & answer all my questions. Friendly & professional. Very thorough treatment job! Comments: Would definitely recommend Edge to my family and friends! Thank you for sharing your experience and the recommendation Marilyn! 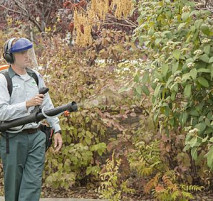 We are happy to hear we could help with the pest problems. Please let us know if you need anything else! We apologize for your experience, Vicki. We are never able to charge your card without your permission and until after we've serviced your home. We would like to look further into this but are unable to find your account based on your Networx name. Will you please call us at 866-529-0864 extension 1041? Thanks Vicki. Thanks for sharing Michelle! We're happy to hear about your experience. Please just let us know if there's anything else we can help you with! Comments: Great guy, highly recommend. Work Description: Yellow jacket wasp problem in 3 areas around our house. Work Description: Spray house for ants and spiders. Teresa, thanks so much for the positive rating and great review! We don’t like ants or spiders either, and are glad you trusted us to get them under control. If you ever need anything between the quarters, please don’t hesitate to call us back out for free! Work Description: GREAT JOB. DID away with 7 wasp nests and the wasps too. Comments: I WOUL D HAVE THEM BACK IF NEED BE. Jennie, thanks for having us come and take care of those pests for you! 7 is a lot of wasp nests, and we’re looking forward to keeping them at bay. Thank you for the great review, and trusting us with your home. Comments: I was with Alpha/Eden for 12 years. We are a multi pet household ( 3 dogs, 3 aquariums, birds and reptiles indoors and 2 feral cats, 4 chickens, 2 ducks and an aviary outdoors) and they were happy and able to answer all the questions that I had, and were able to come up with a treatment plan (fleas and ants) that wouldn't 't harm the pets that we have. The Tech when he got hear even notice and old rat trap on the side of the house, so now there are even rat bait stations outside at no extra cost. Happier with the phone call to Edge and the 1st treatment then the whole time I was with Alpha/Eden. BTW I never write reviews but I had to for their great service. Oh, the 4 star rating is for the 8-12 window. They showed up in the window, just prefer a set time for them to show up instead of a window. James, we’re grateful you’ve trusted us to service your home and are excited to have provided a better experience right off the bat. Thank you also for taking the time to leave this review for us as well, it means a lot! Give us a call if we can be of further assistance in the interim. Work Description: Dylan came in and was very friendly and willing to answer questions rather than just rush in and spray for bugs. He talked to my kid and was able to make me feel less anxious regarding the situation that made us call for pest control in the first place. Nicole, we’re glad to hear your experience with Dylan was top notch! We stand by our service specialists and are grateful you trusted us to service your home. Let us know if ever we can be of further service to you! We’ll be back out for free. Work Description: Edge came by and did a great job taking care of my wasps and my ants. We have used other companies in the past but we have never seen results as impressive as these. On top of that they seemed very professional and took lots of time making sure they covered every part of my house. Comments: I was worried that they wanted to spray inside the house because I have 2 big dogs, but they told me the stuff they are spraying is actually safe around dogs and cats! Woohoo thanks! Thanks for your review Janette! We offer the best service in the industry and are always looking to improve. Our product is one you can be at peace about. If there is anything more we can do for you just let us know and we will be happy to take care of you. We are regularly featured on local news programs in our service areas.